I recently downloaded the My Fitness Pal app which also has a website (click to visit site) I set my daily calorie allowance to 1200 calories and tracked everything I ate. I love that the app has the ability to scan bar codes – makes it sooo much easier to track and keep your diary up to date. This is what I ate today. 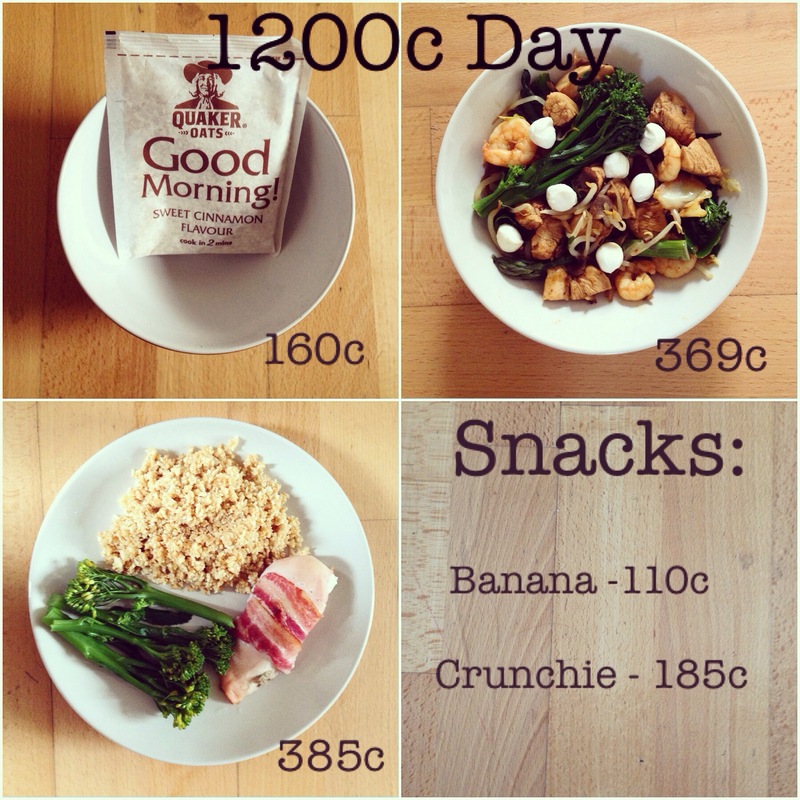 Just over 1200 calories! Lunch– chicken, prawn and bean sprout stir fry with broccoli and asparagus. Dinner – chicken, bacon, broccoli with cauliflower rice. Snacks – a banana and a crunchie! I have been tracking for just over a week now and it hasn’t been as hard as I thought. There was the odd day I felt a little hungry but you start to get to know little low calorie treats to keep you going. In total I have lost 3.5lb. Which I am really chuffed with! I wouldn’t say I have been particularly strict. I had birthday cake on Saturday, a glass of wine Sunday, a galaxy chocolate bar on Monday but I have tracked it all. I really recommend this app and will keep you up to date with the progress! Next > What we are wearing today! !